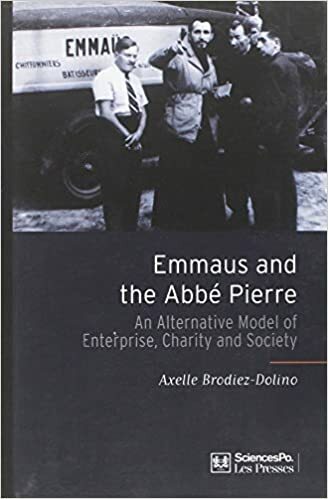 Abbe Pierre (1912-2007) – Inspirational French humanitarian. Abbe Pierre, who was repeatedly voted France’s most popular man, was a humanitarian known for his work with the homeless. He was born into a prosperous and devout Catholic family in Lyon on 5th August 1912. 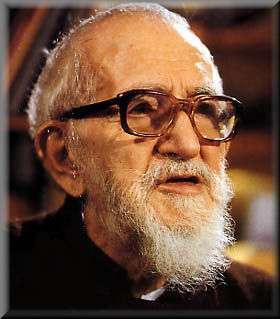 His name at birth was Henri Grouès; From an early age, he was inspired to follow a religious life and in 1930 joined the Capuchin monks. 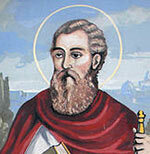 He stayed for eight years but, partly due to ill health, he struggled with the disciplined and ascetic life. Therefore, he left and became a priest in Grenoble. In 1942, he joined the resistance and helped to hide Jewish members of the community from the Nazi’s and Vichy police. Eventually, he was arrested, but he managed to escape and fled to North Africa to join the Free French led by Charles de Gaulle. In the post-war period, Abbe Pierre became a member of France’s national assembly but felt he was able to achieve very little. Therefore, he decided to leave and set up a charity Emmanus in 1949. His charity was aimed at helping the homeless to find shelter. However, he viewed the traditional view of charity with almost contempt. He felt the most effective charity was when others were helped to help themselves. If charity was just a condescending gift from the rich to the poor, he felt it would be of little benefit other than to appease the consciousness of the rich. The British based version of Emmanus says its philosophy is to “Giving people a bed and a reason to get out of it”. Abbe Pierre became the unofficial spokesman for the homeless. He appeared to transcend religious and political differences of the country and was appreciated by a variety of sources. He was admired by Catholics, for presenting the best aspects of a living Catholic faith. At the same time, he was also appreciated for his strong criticism of the Catholic Church’s conservatism. He spoke in favour of using condoms and was supportive of homosexual rights. He didn’t support enforced chastity for priests. For many years he was in the public eye, but he didn’t like the inherent fame that was associated with his role. For several years he dropped out of the public limelight, spending time in semi-retreat. However, when he returned to the public limelight in the mid-1980s, speaking on issues such as homelessness, his message again received widespread and popular support. It seemed many remembered his initial message back in the 1950s. Abbe Pierre also became a strong spokesperson against the nationalistic view of J. Marie Le Pen. Abbe Pierre disagreed that France’s ills could be pinned on immigrants. To the end of his life, he supported the cause of immigrants, especially in regard to housing. Despite his wartime record of saving Jewish people from the Nazi’s and his ardent opposition to the far right in France, Abbe Pierre was dragged into controversy for his support of his longtime friend Roger Garaudy. Roger had written a book claiming Israel had exaggerated the extent of the holocaust and had used it as an excuse for mistreating the Palestinians. However, despite this episode, his reputation was generally undiminished because of his sincere and fervent belief in the equality of men. In the last years of his life, he was frequently voted France’s most popular man. He actually asked to stop being nominated to allow “someone from the younger generation”. His successor was Zinedine Zidane the footballer and immigrant from North Africa. Citation: Pettinger, Tejvan. “Biography of Abbe Pierre “, Oxford, www.biographyonline.net, 23rd Jan. 2007. Last updated 15 February 2018.